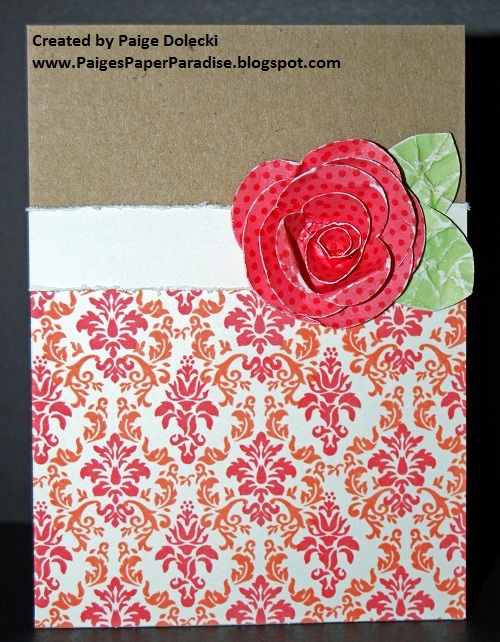 This card was inspired by a little 4x4" cutie that appears in the upcoming Idea Book. I've changed it into a standard sized card as I tend to use those a bit more often and I used our lovely Two-Step Background stamp to create a Sunset and Cotton Candy damask piece for the bottom of the card. This color combination is such a bright and cheery mix - just right to offset the gray and rainy day we are having in Seattle! 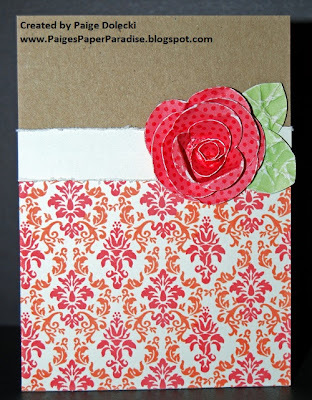 The flower was cut using the Art Philosophy cartridge at 4" and then stamped with polka dots from a retired set. I love the color combo. Great card!